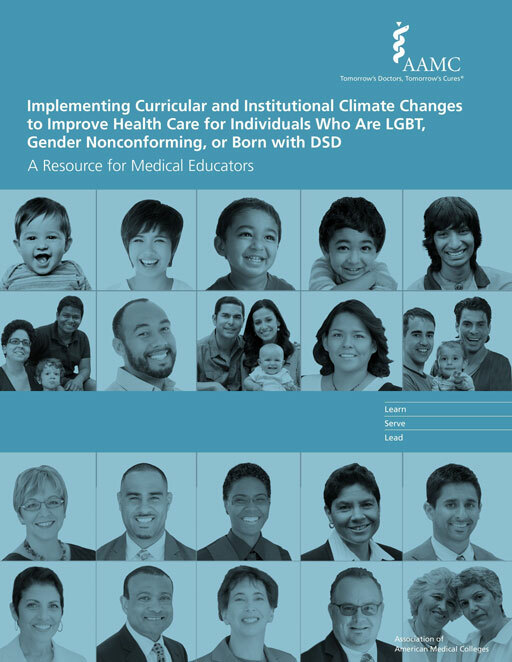 The information you provide will assist the AAMC in determining how the publication is being used and in developing new resources to support medical educators, healthcare professionals, and others working to reduce the healthcare disparities experienced by individuals who are LGBT, gender nonconforming, and/or born with DSD. Your information will not be shared or used for any other purpose. If you agree to be contacted, you will be given the opportunity to provide feedback on the publication and will receive notifications of future, related resources. Thank you for your interest in this groundbreaking publication! Complete this form to receive an email with a direct link to download the PDF. How do you plan to use the publication? Are you affiliated with an academic medical center? Can we contact you about related activities and products?